There are dozens of articles online claiming you can get a home equity loan if you have bad credit. The unfortunate part is EVERY article making that claim is written by a financial blogger that wants you to click on their ads or apply with their sponsored lenders so they can get paid an affiliate marketing fee. 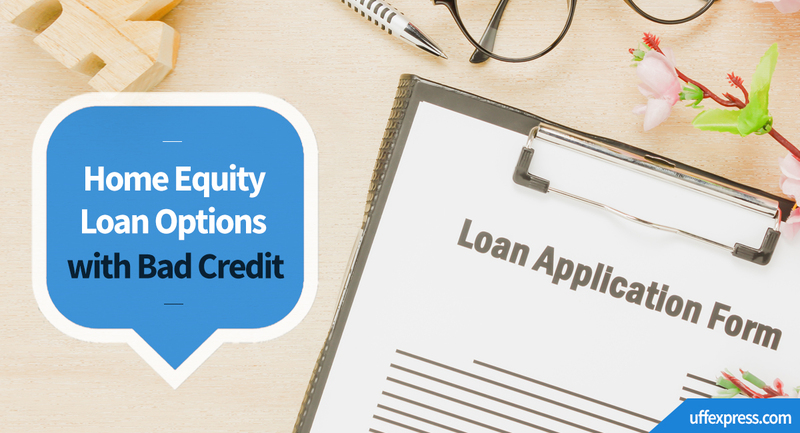 When you go to apply with those lenders, you come to find out that lenders do not offer home equity loans to borrowers with low or bad credit. A bad credit home equity loan simply doesn’t exist (which is why the articles aren’t written by lenders promoting such a product). In our article, we review the legitimate options to tap into your home equity and accomplish your goals even if you have bad credit. Why Do Borrowers with Bad Credit Want to Tap into their Home’s Equity? Whether you’re looking to consolidate debt, boost savings, remodel your home or have an awesome investment opportunity you can’t pass up, there isn’t any better option than tapping into your home equity. Homeowner’s across the US particularly utilize the equity in their home to consolidate debt, especially if you carry high-interest credit card debt or large monthly installment payments. Convert non-deductible interest (interest paid on credit cards and installment loans) to tax-deductible interest. Mortgage interest is generally tax deductible, meaning you get back some of your mortgage interest when you file taxes (assuming you itemize and have enough write-offs). Missing monthly payments or carrying high credit card balances for long periods of time will drastically reduce your credit scores, which is the primary reason borrowers end up with bad credit. But if you’re able to use your home equity to pay off that debt, your credit scores will go up rather quickly and help improve your bad credit. Did You Know: high credit card utilization (percentage of your credit card balance versus the credit limit) is the 2nd most important factor when determining your credit score? Late payments count for 35% of your credit score calculation while credit card balances make up 30% of your score. Borrowers whose mortgage credit scores fall in the average, poor and bad credit ranges, will not qualify for the home equity lines of credit options availble in the market. Borrowers with truly bad credit may have some options, however it will still be difficult to qualify for any mortgage loan program. While borrowers with average and poor credit may not qualify for a home equity loan, there are other options for you to consider. Regardless of what you read online, there is no such thing as a legitimate lender that allows a 620 FICO score to qualify for a home equity loan. Due to the risk associated with the 2nd lien position (a mortgage that is subordinate to your primary mortgage), home equity loans are the hardest programs in the country to qualify for. On 2nd mortgages and home equity lines of credit, the lenders are generally completely exposed if the home were to get foreclosed on, so borrowers with bad credit have a very difficult time qualifying for a home equity loan. Also keep in mind that your mortgage credit score if often lower than scores you’ll see on Credit Karma or other credit monitoring services. So it’s your MORTGAGE scores that need to be above 700 to qualify for a home equity loan. If you can’t qualify for a home equity 2nd mortgage with bad credit, what options do you have? Whether you’re looking to consolidate high-interest debt or obtain cash for home improvements, there are several options to tap into your home’s equity even if you have low or bad credit. You must not have had any late mortgage payments within the last 12 months to be eligible. If you’re carrying high-interest debt or have large installment loans eating up a large chunk of your income, refinancing them into your mortgage means you could save significant amounts on your monthly payments. We’ve been able to save some borrowers as little as $200 per month while we’ve literally helped others save over $1,000 per month. This monthly payment savings can be used to eliminate other debt, help with saving for retirement, free up cash for future family vacations, OR applying a little bit of it each month to your new mortgage could help save you tens of thousands of dollars on your mortgage. As mentioned before, credit card utilization accounts for 30% of the credit score calculation and is the primary factor why people end up with low and bad credit. Paying off those credit cards will drastically help your credit scores, which will afford you the opportunity to get better terms on mortgages, credit cards and auto loans down the road. Most mortgage interest on primary mortgages is tax deductible, which either means less taxes owed each year or a larger tax refund. Home equity loans don’t always allow you to deduct mortgage interest and they come with very high rates, so traditional cash out refinances are the best option in many situations. Home equity loan lenders require a minimum credit score of 700 to qualify, meaning borrowers with bad credit must look at other options. FHA and Conventional cash out refinance loans can help you free up your home equity, which can allow you to accomplish the goals you have in mind. Our licensed loan advisors at United Fidelity Funding would love nothing more than to learn more about your goals and see if we can help you accomplish them. United Fidelity Funding is a multi-state lender specializing in residential real estate financing. With an average of 7 years in the industry and 400 funded loans, our licensed loan officers are highly experienced. In addition to our 5-star service (as rated by our past clients on sites like Zillow and LendingTree), our core focus is keeping our company overhead low, thereby allowing us to have some of the most competitive rates and lowest fees for our borrowers.